The magnificent roof and tower of Burgos Cathedral, a masterpiece of medieval architecture. 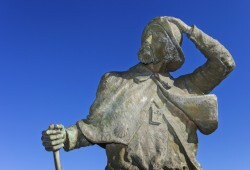 This is a unique information site for Australians planning to travel on the Camino De Santiago or The Way of St.James ( ‘French Way’ or simply ‘The Way’) as it’s also known. We hope you’ll find this a useful resource when making your Camino plans and get a sense of what to expect from this extraordinary journey. 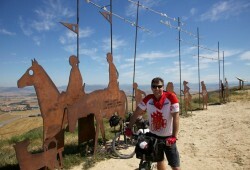 We aim to be different from other Camino De Santiago websites by showing many images as well as practical information (eg. maps, routes, stages, trails, books, accommodation, news, history and more). So you can more easily envisage what the ‘The Way’ is like and choose what you’d like to experience on this ancient road. 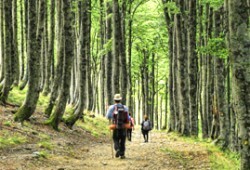 It is not intended to be a guidebook but more a useful starting point for planning your Camino. 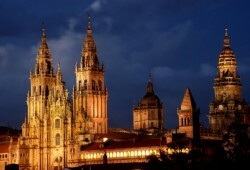 We also feature recommended Camino trips organized directly from Australia by RAW Travel, who are Camino Experts, if you are looking for someone to help arrange your Camino, whether self guided or guided. We welcome up to date information which can be passed onto other prospective ‘Peregrino’s’.We hope you will find inspiration in these pages to have your own extraordinary Camino journey and you’ll be left richer by the experience.